Despite posting about myself on this blog, I rarely post anything too personal about my day-to-day life. I do, however, always tweet pictures of my two kittens and people seem to adore them, so this post is dedicated to them I guess. Bit different from my usual style or beauty ramblings, but I hope you all still like it! So, I have two cats (kittens, I call them, despite them being six) which are family pets so aren’t entirely ‘mine’, really. I’ll be sad to leave them when I move out again! The top one is Chloe, a blue-tortie siamese, who is the sweetest thing and fetches toys like a dog. Seriously, if you ignore the fact that she’s brought one, she jumps on the chair and taps your face. It’s rather adorable. As are her chubby cheeks, which you can see in the third pic, so cute! 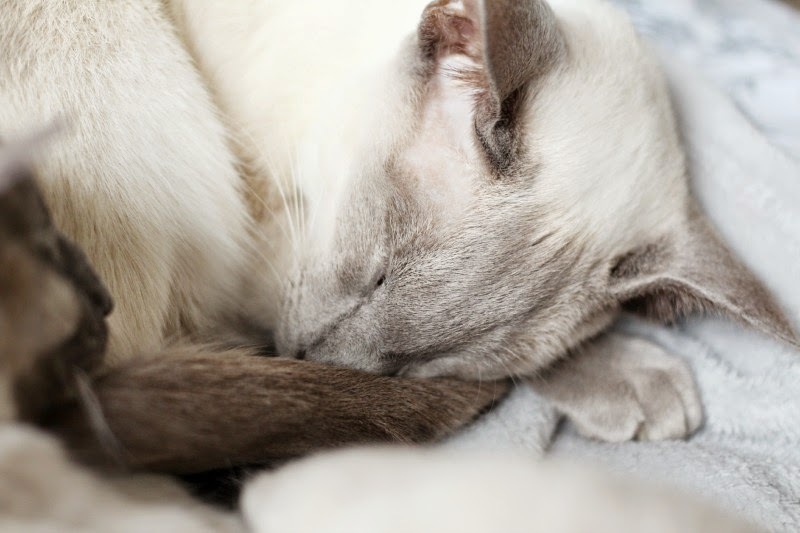 Next is Tobi (Tobias, really), a lilac point siamese, who is definitely the most lazy of the two. Any opportunity to sit on a knee or curl up in a ball, he will take it. I tried to lift his head up, as he has the most beautiful bright blue eyes (seen here), but he was so sleepy that he just put it straight back down again. He’s very sweet and lets me carry him around like a baby, as 99% of the time he’s not entirely bothered about what’s happening around him! They’re both house cats so don’t go outside (Chloe would definitely bring us a ‘present’ every day if she did! ), though I wish they did so I could buy them both a cute collar. They keep each other company and more often than not there’s someone in, so they’re never on their own for long. 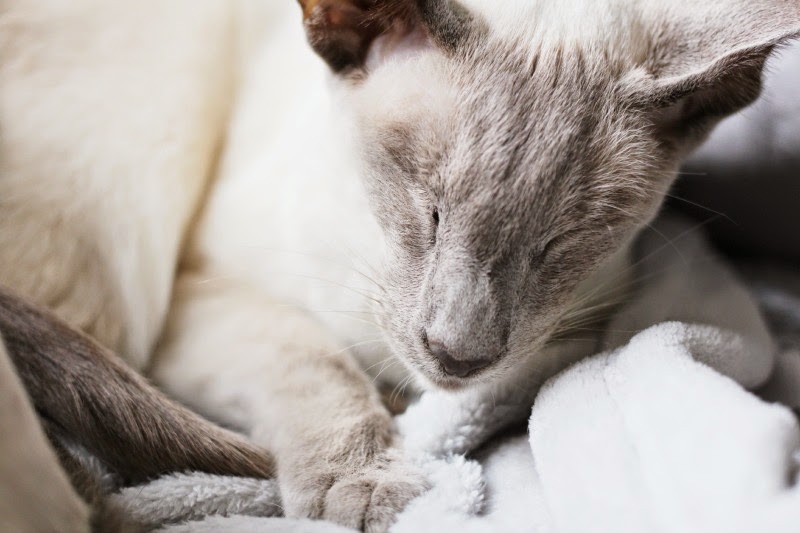 I adore having cats, especially siamese as they’re so loving and chilled out, and I’ll definitely get my own when my boyfriend and I get a house. 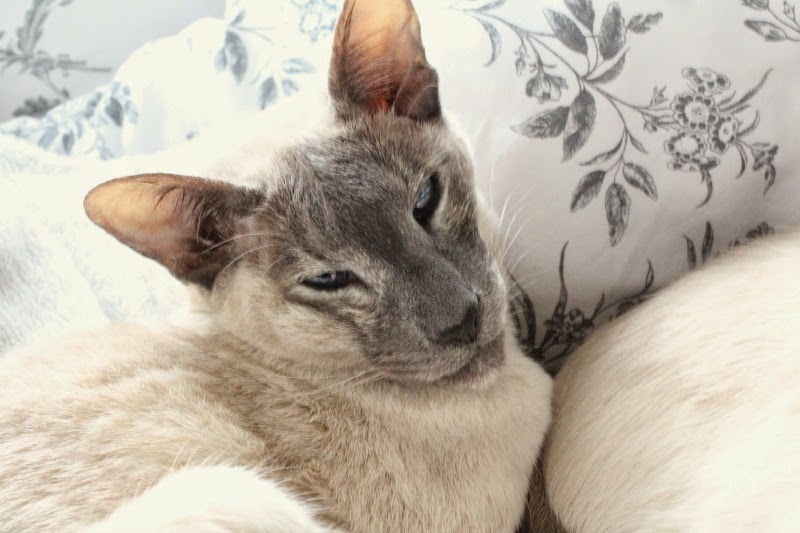 I had a siamese before these two and my sister has two, so I think it’s very much a family thing! 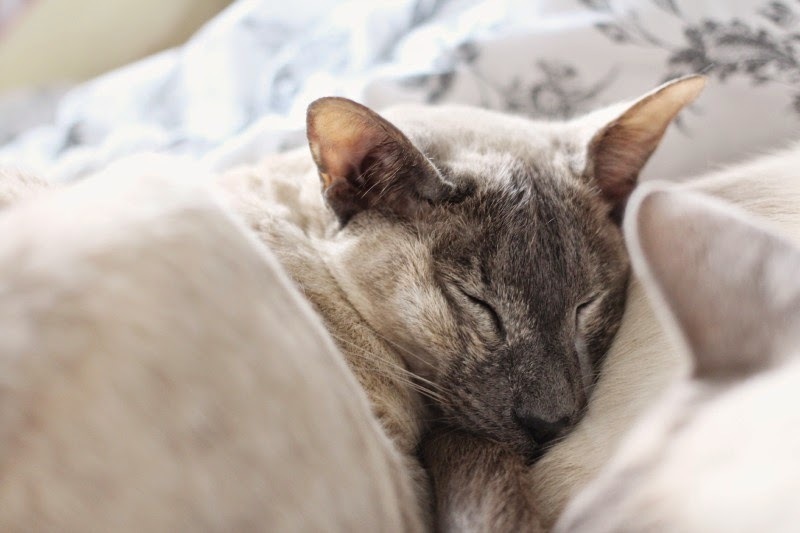 I would totally recommend one if you’re after a pedigree though, they’re gorgeous cats!